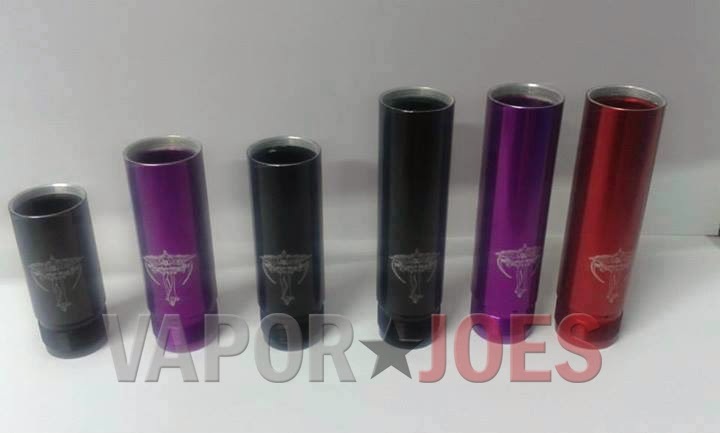 Now in some stunning new colors, the iHybrid pure is an affordable high end mod that vaporjoes can really get behind. A solid device and a great price! Caution:This device is designed for AW IMR batteries. To maintain a safe vape always be aware of your batteries amp limits. Improper use of batteries could result in bodily harm. iHybrid Mods and Elevated Vaping are not responsible for battery malfunction or abuse. The next in the family of Chi-You replicas is here. This one is stainless steel with silver plated contacts and exquisite dragon and tiger etching on the tubes. Top cap has 510 threading with adjustable pin and airflow control; bottom firing button has locking ring. No your not looking at a cheap replica of the nemesis. These are the new anodized aluminum tubes that were leaked. This will be the less expensive line of the very popular mod. The price at this time has not been released by im going out on a limb and say these will follow the pure at a sub $100.00 price tag. This is VERY smart business! This puts a high end name at an affordable price. This is a good way to combat the replicas that are plaguing the company. Here is a great deal on the Kanger Protank 3. 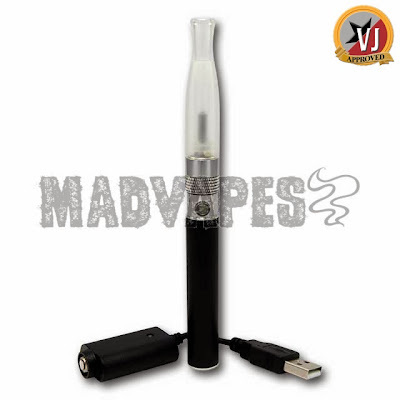 These are a new dual coil system that promises to push the glassomizer to the next level. 101vape now has these on sale and in stock at a great price! The newest Protank from KangerTech! Now with dual coils. Pyrex tank that is removable for cleaning. Comes with 2 dual coil atomizer heads. Most likely a 1.8 ohm and a 2.2 ohm. Kanger is telling us these new dual coil heads will not work with the older Protanks, and that single coil heads will not work in the Protank 3. Uses 510 thread connection, and also comes with a decorative ring for eGo batteries. 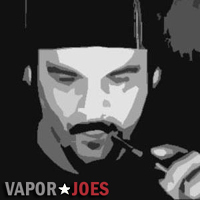 To show our appreciation to the vaping community — The vaporjoes network of sites will be giving away an authentic Kraken by Vicious Ant. This will be given away on the Mod Envy show this Saturday Nov 16th. The show starts at 10pm est. The winner will be chosen at random via the Vaughn random generator, so you must be logged in to win. The winner must be present to win, and will be required to confirm in chat. If the winner doesn’t confirm within 60 seconds, another name will be drawn. It will be shipped directly to the winner. Check out the biggest show in vaping! WHERE: http://www.modenvy.net for details and show times. Affordable Pyrex drip tips for the masses! These are impervious to even the harshest juices and now they’re available here for less than two bucks apiece! Colors include coffee, green, blue (pale) and clear. Here we start getting into some nice high end chargers. This deal is the same price as fasttech but shipped from the USA! I have 4 of these, never gave me a days trouble. They charge everything from a 26650 to a 10440 (AAA). Unlike many chargers they show you the progression of the charge. No spacers or adapters or spacers needed! Here is a fantastic deal on the Smoktech RSST! These are a tried and true genesis style rebuildable. The stats just closed for today on Google. Today marks the single biggest day in the history of our blog — well over 118,000 hits. Incredible numbers! 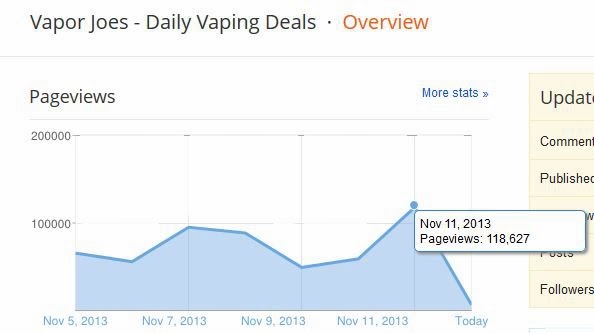 Not only did Vaporjoes.com do well, but Vaporjoes Canada also had their biggest day of over 62,000 hits! Thanks so much to our readers and vendors for making us who we are! Without you, we are nothing. Here is a fantastic deal on a nice mechanical. This mechanical comes with all 3 battery tubes. The mechanical has brass contacts with a bottom firing button. Made of a brushed stainless steel. 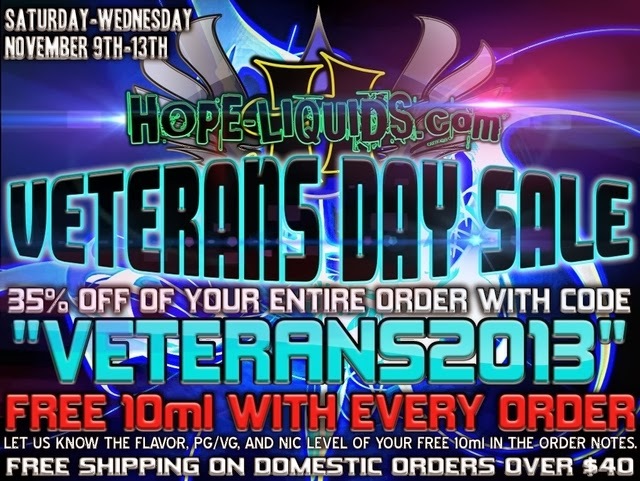 Hope Eliquids is running a 35% Veterans Day Sale. Now would be a great time to stock up on your favorites or give them a try! It doesn’t get cheaper then this. The sale runs through Wednesday. Some of my personal favorites is “Heard it through the Grape Vine” and “Coconut Cream Pie”. 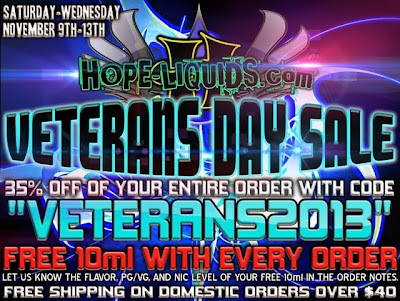 USE COUPON CODE VETERANS2013 FOR 35% OFF YOUR TOTAL ORDER. Here is one hell of deal! The Sigelei Tmax with lots of extras! Everything a user will need for a variable wattage set up. The Tmax is a box mod version of the very popular Zmax. A very very hefty mod. I own one and have had no issues with it. You are getting a lot for $35.99 (shipping is free). 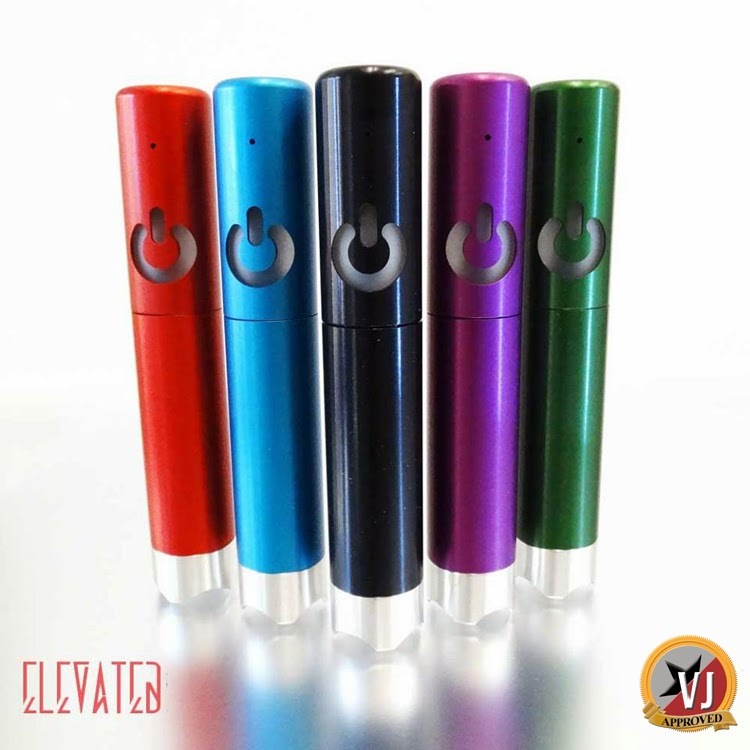 This mod takes a 18650 or an 18350. The Sigelei T-Rex is built like a “BEAST” and is available in ALL colors! FREE SHIPPING! This is a well built box mod with variable voltage and variable power functionality. The T-Max has two battery compartments. One for IMR18650 batteries and one 18350 batteries. This feature allows acts as a “back up” or “reserve” should your first battery run out of power. Having a spare is great and you need only swap the cap with the spring to use the other battery. Looking for a cheap starter kit and don’t want to wait 10 days for it? Check this one out from Madvapes. What drew me to this one was the Smoktech branding. I like smoktech batteries, they tend to be far better quality then the generic brands. This is great for a new vaper, an extra setup, or a portable set up. The BCC it comes with makes vaping a breeze. Just fill and vape! 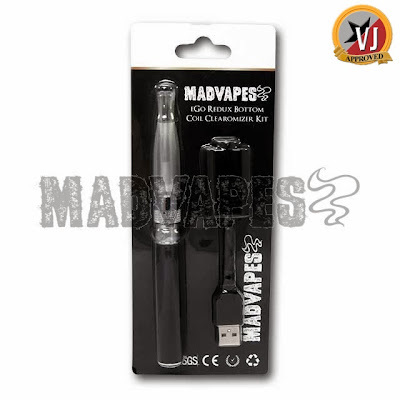 This is a 900mAh eGo kit that is perfect as an introductory kit. It comes with 1 battery that can last many people all day. Also in this kit is an RBC (Redux Bottom Coil) Clearomizers which is an excellent device with great flavor and vapor production. The kit includes a 420mA charger to complete the package. The RBC (Redux Bottom Coil) is a bottom coil clearomizer based after the look of the Redux Clearomizer. But it is a completely different design. The RBC using the bottom coil provides a nice warm vapor, with a superb clean flavor, and reduced wicking issues. Also different is the body design. 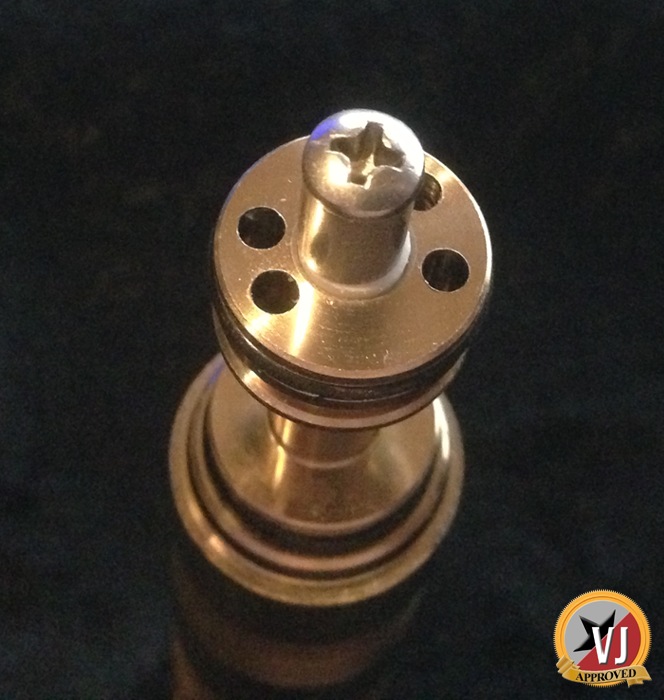 There is no longer a removable drip tip at the top. It is more of a molded translucent uni-body design that unscrews from the bottom for filling and to replace the coils. Available in 3 different resistances. UPDATE: ITS OFFICIAL – A BLOWOUT! 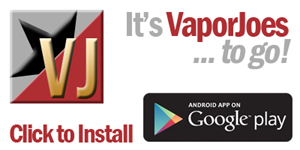 Before I start – Vaporjoes, Novabroadcasting, and Mod Envy are not affiliated with this product in any way. We are not getting any compensation (money or product) to promote this. We are doing it because ITS AWESOME. A real game changer! An American made hybrid that is truely stunning, affordable, and most importantly – AVAILABLE! I met Unicorn Vapers at Vapercon and we had a little talk. We spoke about how they want to change the hybrid market. They asked for my help. I gladly accepted. So here we are. All machining and assembly done in North Texas. The Aluminum model comes with the hole design. The Stainless Steel, Titanium, and Aluminum Nickle Bronze come with the slotted design. 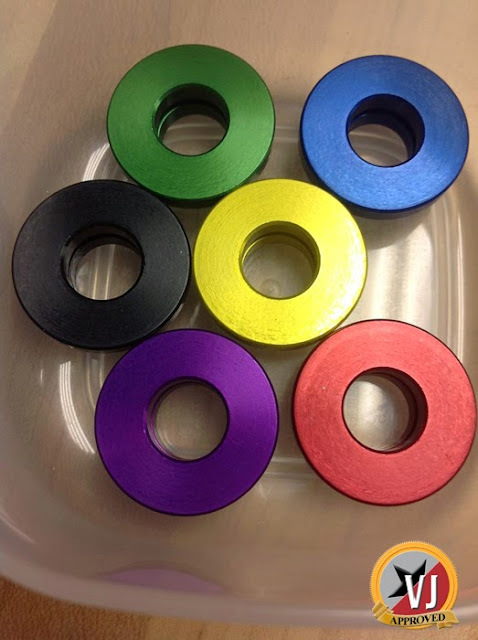 Until Monday the anodized aluminum will be just $85.00 – after that the price goes back to its normal price of $90.00. These will be released in December, so get on the list at this really inexpensive price!